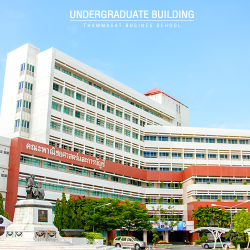 Faculty of Commerce and Accountancy. 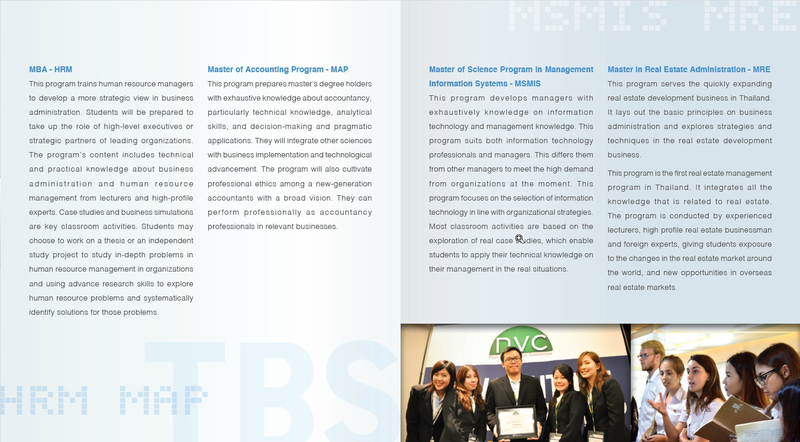 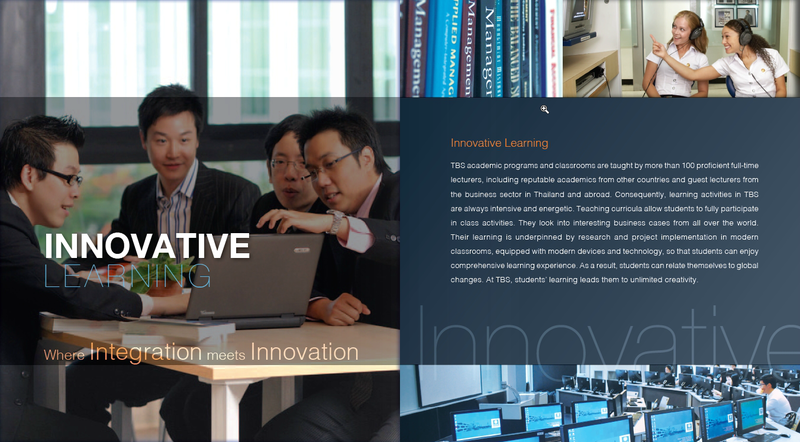 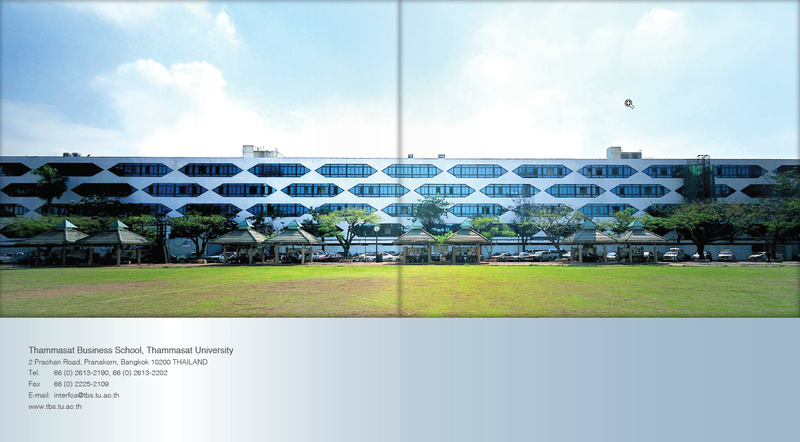 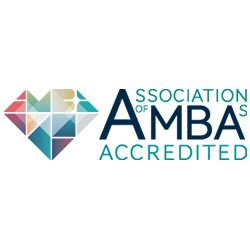 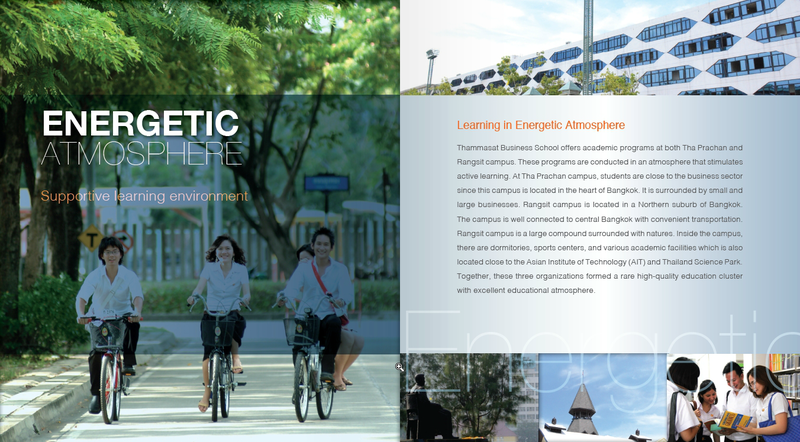 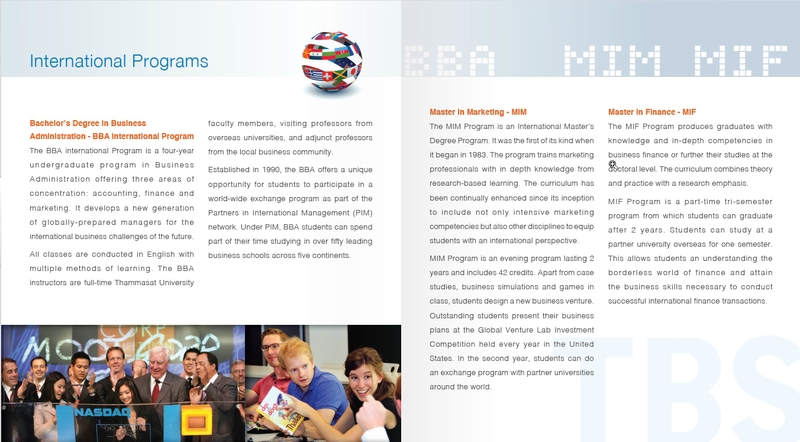 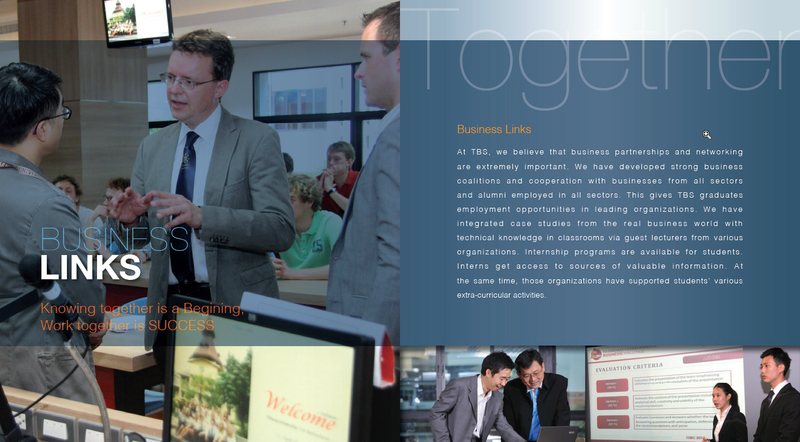 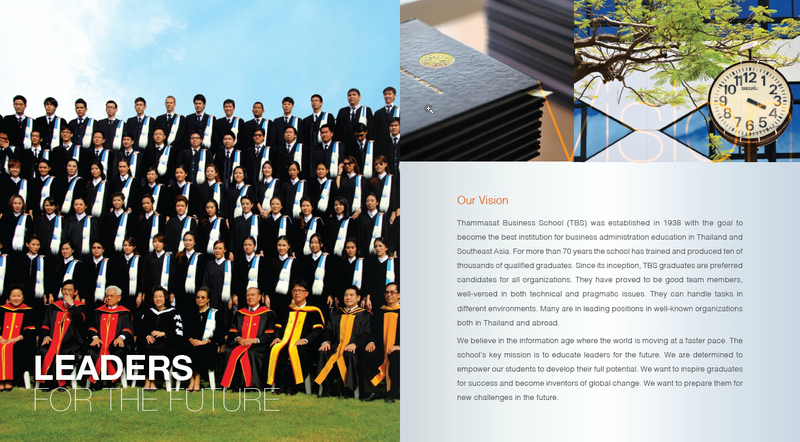 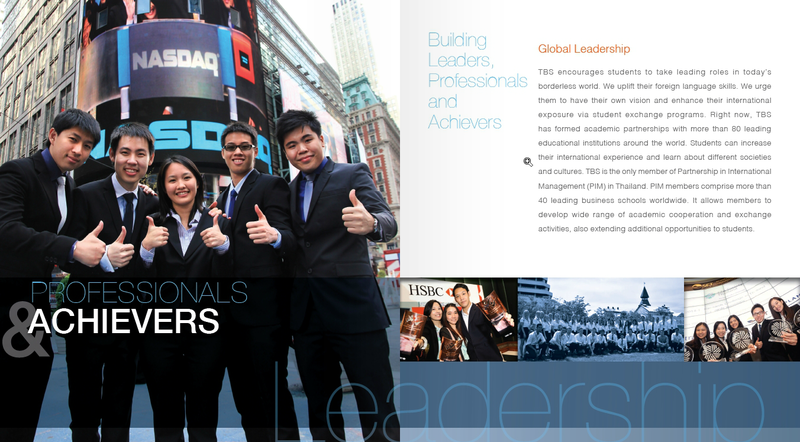 Its original purpose was to offer undergraduate programs in various functional areas of business in Thai. 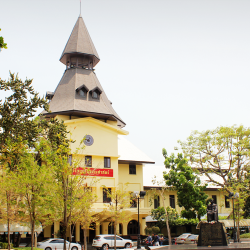 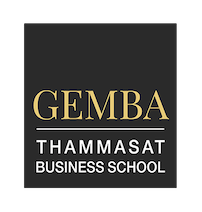 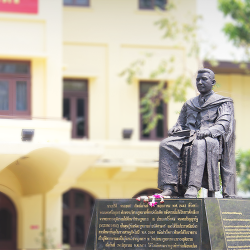 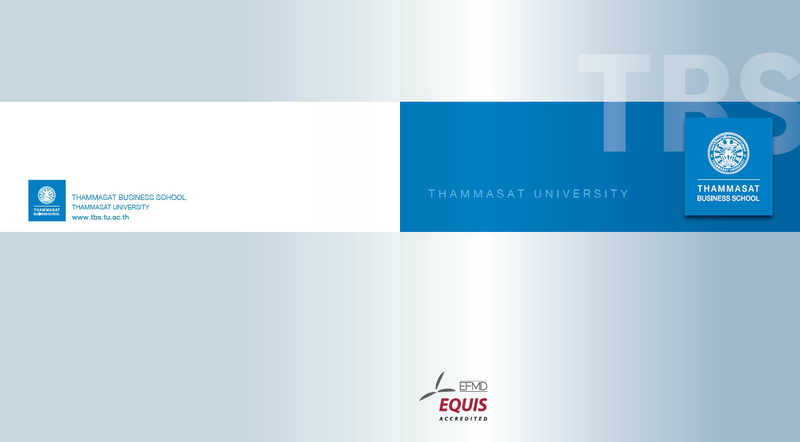 An aspect of its legacy is that Thammasat University is a public university in which the administrative structure, policies, procedures and budgeting are more like the civil service than a 21st Century international higher educational institution. 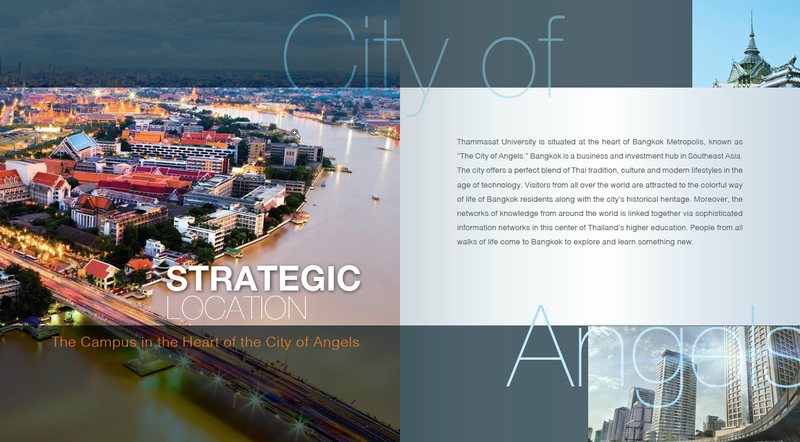 The official language is Thai. 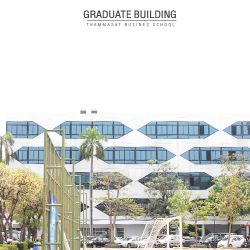 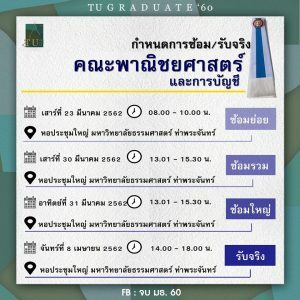 TBS collaborated with Chulalongkorn University and the National Institute of Development Administration (NIDA) to start the first Joint Doctoral Program in Business. 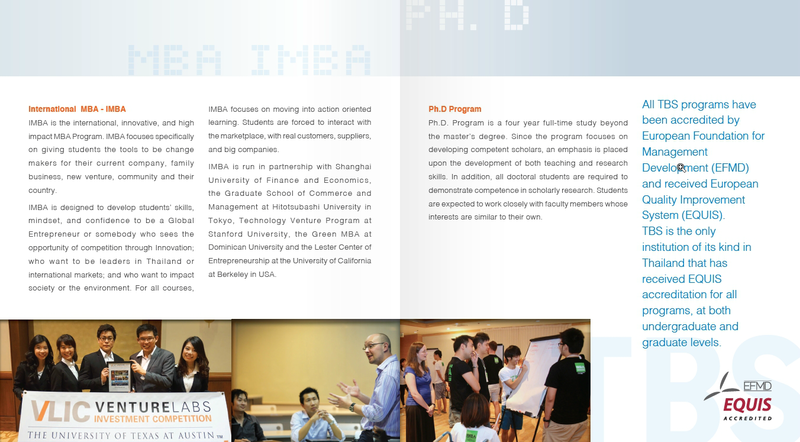 the first Doctorate Program in Marketing began. 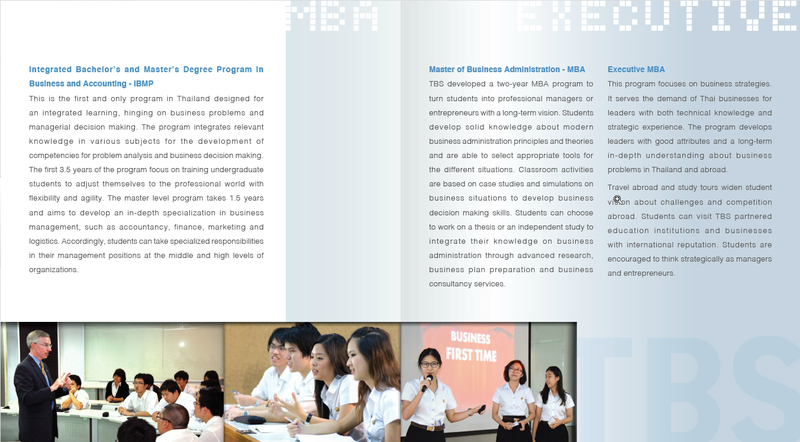 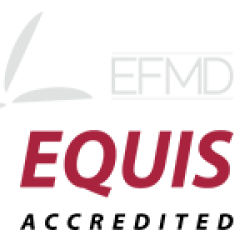 The curriculum focuses on developing basic knowledge of all aspects of business management. 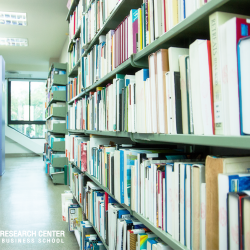 Prior to study in depth Easterners majors who are able to choose from eight disciplines This course is for those who have a clear career goals and needs experience. 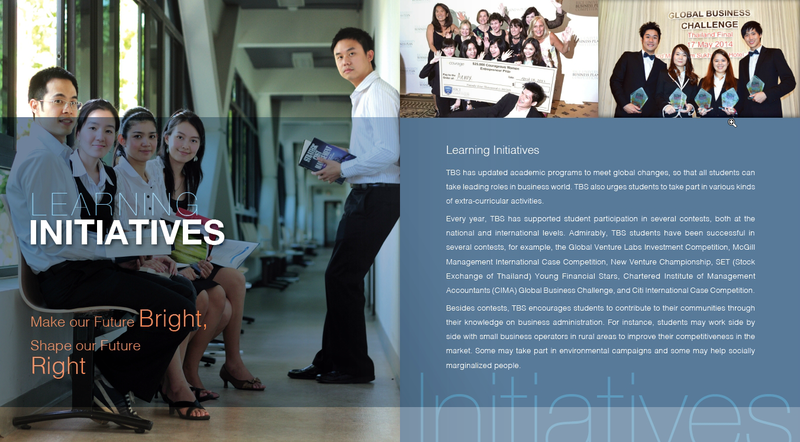 Work before deciding to study at a higher level in the future.